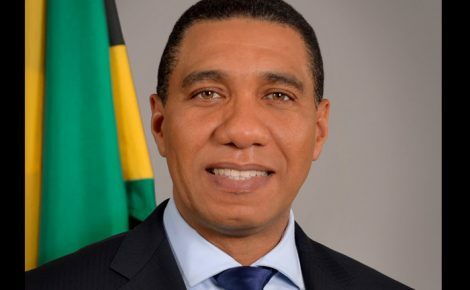 Prime Minister Andrew Holness has conveyed his deep sympathies to the family of the Jamaica Defence Force soldier who died yesterday in a motor vehicle incident while on duty. The Prime Minister said the country stands with the JDF and Private Hewitt’s family and friends in their moment of grief and also wished a speedy recovery for the other soldier who is currently in hospital. The soldier, Private S. Hewitt of Moneague St. Ann was on operational duty in Hanover when the patrol vehicle in which he was travelling was involved in a tragic accident. Private Hewitt died while three other soldiers sustained serious injuries. Prime Minister Holness this morning telephoned the relatives of Private Hewitt to extend condolences. “Private Hewitt gave dedicated service to our country. He was part of a team of Jamaicans in the security forces who allowed us to enjoy the joys and festivities of the season. He toiled quietly behind the scenes, ensuring that we were safe and secure,” said the Prime Minister. The Prime Minister who is also head of the Defence Board also conveyed a heartfelt thank you for the sacrifices made by the JDF in protecting our country.